Edmund Messina MD is a native of New York City and a graduate of the University of Illinois College of Medicine (Chicago). He was an Internal Medicine resident at Michael Reese Medical Center, (then a University of Chicago affiliate) and completed his neurology residency at Washington University and Barnes Hospital in St. Louis, MO. He is certified in Neurology by the American Board of Psychiatry and Neurology and certified in the subspecialty of Headache Medicine by the United Council for Neurologic Subspecialties. He is a Fellow of the American Headache Society. Dr. Messina is a member of the American Academy of Neurology, American Academy of Sleep Medicine, the International Headache Society, the American Medical Association and other professional groups. He serves on the Advisory Board of the National Headache Foundation. He is Clinical Associate Professor of Medicine at Michigan State University's College of Human Medicine. 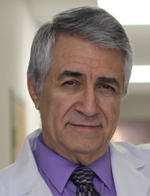 Dr. Messina has authored many computer programs relating to neurology and general medicine and he is actively developing expert medical systems and educational tools. He is the founder and Medical Director of Arbor Medicus™, a patient and physician advocacy and educational website. He is associated with E.W. Sparrow Hospital and McLaren Medical Center in Lansing.